We found Martha growing in the cemetery of the coastal town of Manzanita. It was bound to happen. 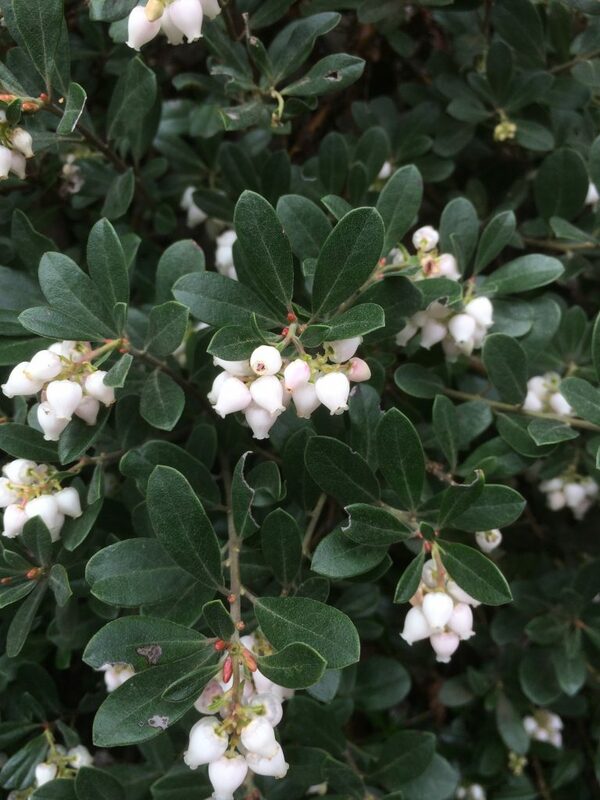 This naturally occurring hybrid between Hairy Manzanita (Arctostaphylos columbiana) and the ground cover Kinnick Kinnick (Arctostaphylos uva ursi). 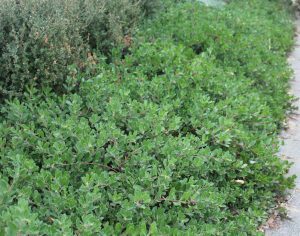 Fantastic low growing evergreen shrub that is a superior ground cover. Dense growth clad in deep green leaves covers the ground on a 2′ x 6′ framework. White flowers in spring are followed by large red berries which are then consumed by wild life. Full sun to very light shade in most well drained soils. No summer water when established. Fast growing with little care. Amazing on slopes where it efficiently blocks weeds. 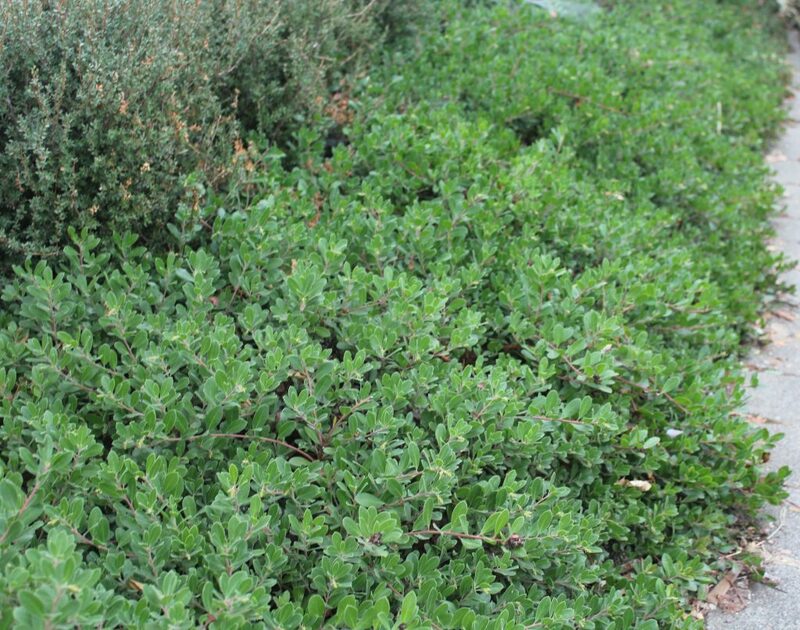 Better, easier, and faster ground cover than Arctostaphylos uva ursi. Oregon native plant.